When it comes to gold detectors, there are really only a few truly important considerations. Yes, it needs to be capable of handling the minimization common to the goldfields, but beyond that we are looking for just a few main things. 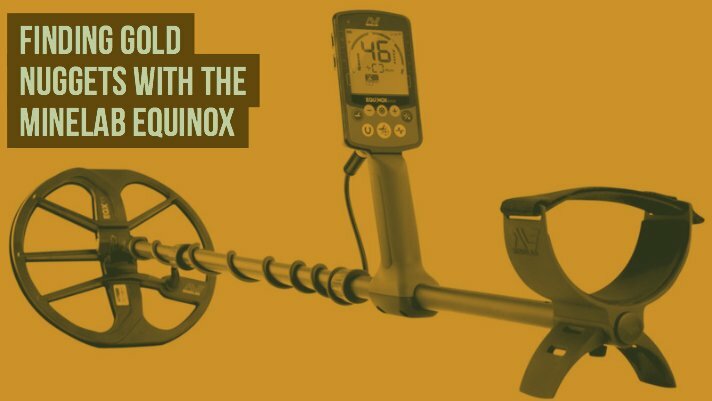 The Minelab Equinox 800 is not a machine designed for depth. If you are looking for something that will punch deep on big nuggets then you will want one of their pulse induction detectors. The beauty of the Equinox is a combination of a few things that makes it great for hunting small gold nuggets. And while it may not hit super deep on large nugget, it seems to be extremely good at hitting on small nuggets at better depths than other popular gold detectors. I'm talking about time tested detectors like the Fisher Gold Bug 2 and White's GMT. Another nice thing about the Minelab Equinox is that it seems to be a good multi-purpose machine. Most serious gold hunters know that the multi-purpose detectors are usually so-so for gold nugget hunting. This one seems to be great for everything, still operating at a high enough frequency that it can hit on those tiny little nuggets that others have swung over.